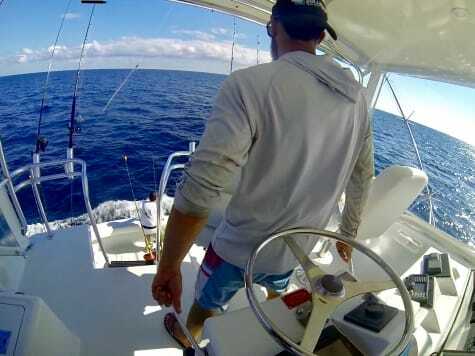 Went up to Ft. Lauderdale Saturday morning to fish my Dad, Colby, and Craig on Litenup, his 50' Hatteras. We bought bait at the inlet, gogs and pilchards. The gogs looked good but pilchards were very small. We had kind of a late start so we took what we got and pointed the boat north. We started fishing at about 10am. Wind was about 10-15 out of the NNW and water was looking a little green. We set up in about 250ft and bumped the boat into the wind. We flew mostly gogs because the size of the pilchards. 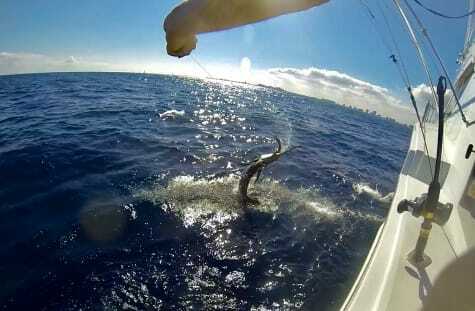 When setting out the second line on the second kite I saw a sailfish messing with the first bait. I dropped back until the Bullbuster 20lb hi-vis started peeling off the reel. 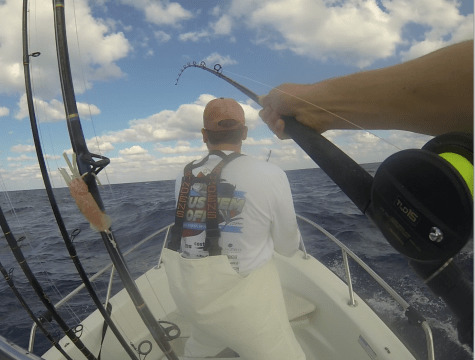 I locked it up, the clip popped, and sailfish came jumping out of the water. Text book. 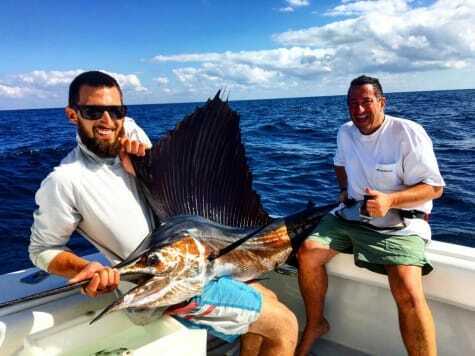 My dad jumped on the rod and 15 minutes later after a good fight we released his first sailfish. After that about 45 minutes later we had another bite on the middle that shook the bait after a jump. It took about 2 hours for the next bite. We were flying all gogs. The right middle started peeling off and we came tight on a sailfish. Then the mid-depth spinner with a small pilchard went so I dropped back to him and came tight. Then the left middle popped and we settled into a triple. We were still hanging 2 baits from the kites so we let some line out and let them drag as we started to work on the other fish. 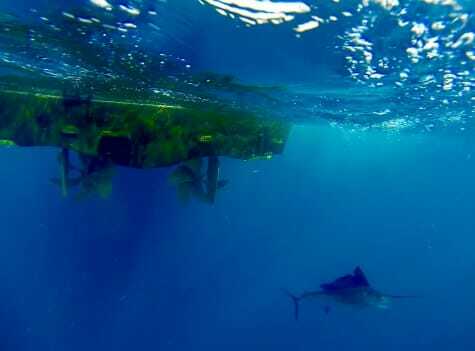 About 5 minutes into the fight Colby saw a sailfish eat the right short at the surface, dropped back while fighting another fish, and came tight to the 4th fish. With some careful maneuvering we landed all 4 fish out of the quad. Thankful for the 30lb Bullbuster Braid backing as we had to stretch some of the fish out pretty far to be able to make landing all of them possible. Was a great day with great friends on the water! 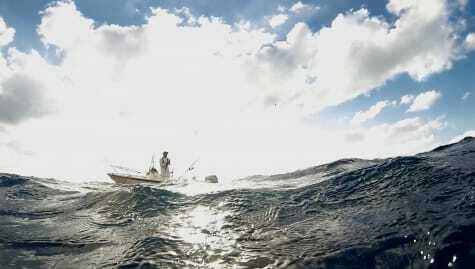 Set out to fish the edge with my buddy Ryan in the afternoon on the 16 whaler. Bait fishing had been on the slow side so I went out a little earlier to baitfish before the trip. I got about 2 dozen threadfins and a few blue runners and with that we were able to make our afternoon. We started fishing at about 2:00. The ride out was slow. Was blowing about 15-20 kts out of the Northeast so we put a few trollers out and slowly worked our way to the Edge. We caught a Spanish on the way out. We set up in about 250 ft. of water and put out the drift sock. We are using 20lb hi-vis Bullbuster mono for mainline and 50lb Bullbuster Flouro for our leaders. Our first bite was a small shark which we released. The second came on the short middle on a Threadfin and was a big Cuda that bit us off. The third bite was the right one on the short but before we could come tight we watched as he threw the bait 10 ft. into the air. A little bummed we set the kite back up with fresh baits and waited about an hour before we got another bite. The fish was acting weird and never came up. He also didnt take too much line and was acting like dead weight. 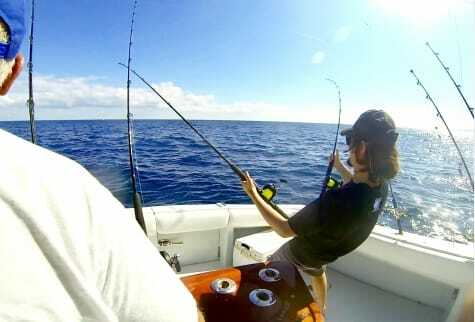 Sure enough, about 5 minutes into the fight a sailfish comes up jumping next to the boat and peals off a bunch of line. 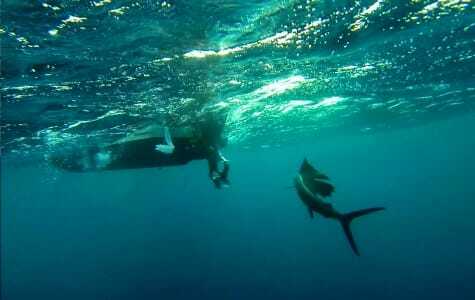 While driving down on the fish I turn around and see the long peeling off line and a sailfish jumping in the distance. Double on the 16 Whaler! Jumped in and got some pretty cool footage of one of the fish next to the boat. We fished for about another hour or 2 with no bites and turned to go in at Sundown.